The number of buy-to-let mortgages hit a 12-year high last month, with competition fuelling cheaper rates – but do you need a fortune to invest in buy-to-let or is it possible to buy with a small deposit? 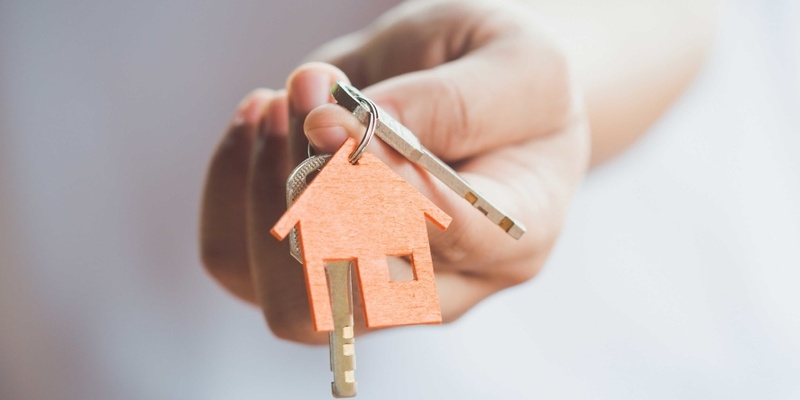 Here, we analyse the mortgage options available to existing and first-time landlords with small deposits, and offer advice on comparing buy-to-let deals. If you’re considering investing in property, you can get advice on your mortgage options by calling Which? Mortgage Advisers on 0800 197 8461. Data from Moneyfacts shows that the number of buy-to-let mortgages increased by nearly 400 last year, meaning there are now more than 2,000 deals on the market. Our analysis shows, however, that while there’s now more choice for property investors, you’ll still need a deposit of at least 20% to get a good deal. The buy-to-let mortgage rate you’ll be able to access depends on two key things: how much deposit you can put down, and whether you’re already a landlord. As the table below shows, while it’s possible to get a loan with a 15% deposit, very few lenders offer these products – and first-time buyers have significantly fewer options than existing landlords. Should you get an 85% buy-to-let mortgage? Just three lenders – Kensington, Vida and Kent Reliance – offer buy-to-let mortgages for existing landlords with a 15% deposit. Unfortunately, the rates on these products aren’t particularly competitive. Right now, the cheapest introductory rate available at 85% LTV is 4.39% for a two-year fixed deal. And with 18 more lenders joining the market at 80% LTV, existing landlords who can put up an extra 5% could obtain a rate as low as 3.15%. Which lenders offer buy-to-let mortgages for first-time buyers? If you are considering investing as a first-time buyer, you’ll need a deposit of 25% if you want to have more than a handful of mortgages to choose from. Only five lenders offer deals to first-time buyers at 80% LTV, with rates starting at 3.89%. This figure drops to just 1.88% if you borrow at 75% LTV. 75% Below lenders plus Bank of China, Barclays, Birmingham Midshires, Danske, Gatehouse, HSBC, Melton Mowbray, Mercantile Trust, Natwest, RBS, Sainsbury’s, Skipton, Ulster. So, we’ve established that existing landlords have more choice of lenders than first-time buyers, but does this translate to cheaper rates? The chart below shows the gap in cost between the cheapest initial rate for existing landlords on two and five-year fixes, compared to those on offer to first-time buyers. As you can see, first-time buyers borrowing at 75% LTV are able to access similar or identical rates to those available to existing landlords. All mortgage data from Moneyfacts. 20 March. If you’re considering taking out a buy-to-let mortgage, these three tips will stand you in good stead when comparing deals. Watch out for high product fees: Buy-to-let mortgages tend to have higher up-front fees than normal residential loans, and a high fee can wipe out some of the benefits of a low initial rate. As you can see in the tables above, the best-rate 75% deals come with up-front fees as high as £1,995. Be alert to early repayment charges: Longer-term fixes are becoming more popular with both residential and buy-to-let borrowers, but many come with expensive early repayment charges (ERCs). Some mortgages charge ERCs on a sliding scale starting as high as 5% in the first year. Consider using a mortgage broker: Buy-to-let mortgages are specialist deals, meaning many products are only available through intermediaries. With this in mind, it can help to get advice from a whole-of-market mortgage broker. Where are landlords taking out buy-to-let mortgages? There’s no hiding the fact that it’s an uncertain time to invest in property, with a swathe of buy-to-let reforms eating into landlord profits. This, coupled with tighter lending criteria, has resulted in some claims that buy-to-let is becoming a cash buyer’s game. New research by Hamptons International suggests otherwise, however. The agency’s latest report shows that while the percentage of cash buyers in London has increased by 15% in the space of a year, all other regions have actually seen an increase in the proportion of mortgaged buy-to-let investors. If you’re thinking of taking out a buy-to-let mortgage, a whole-of-market mortgage broker can assess all of the deals on the market to find the right one for you.